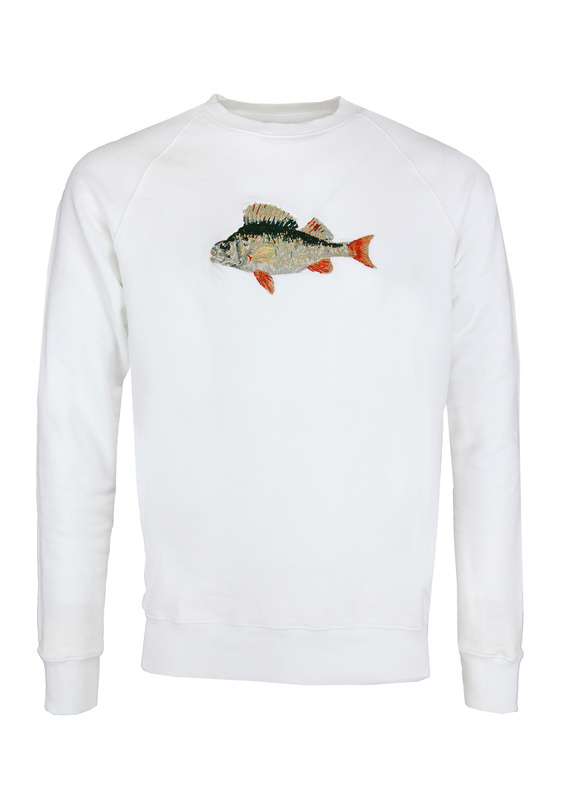 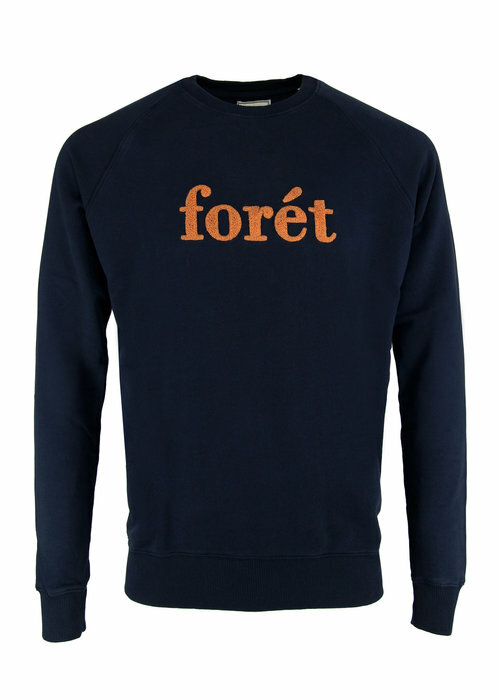 Like a fish in the water with this Forét Bait sweater. 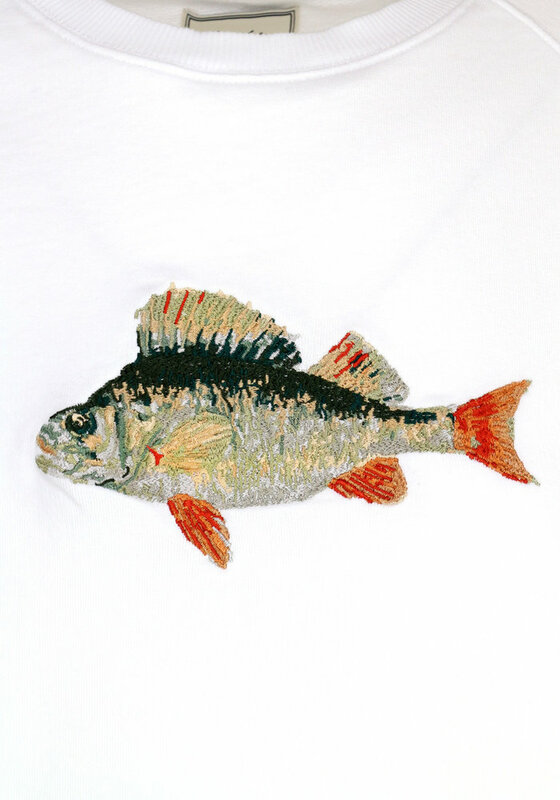 The embroidered bass on the front is of course a real eye catcher and makes this sweater unique. 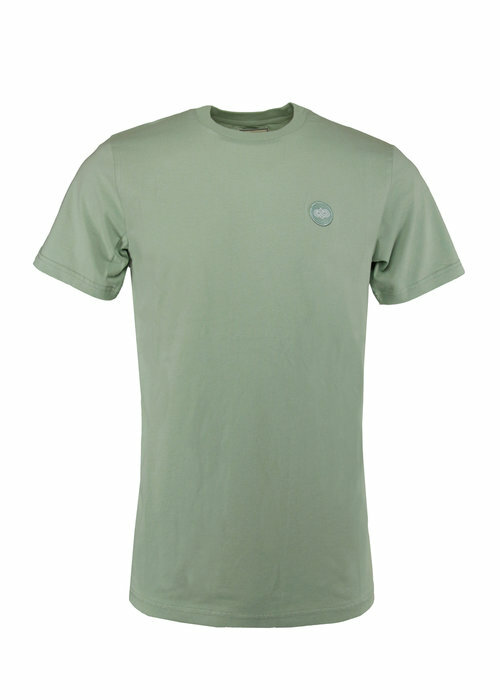 The fit is normal. 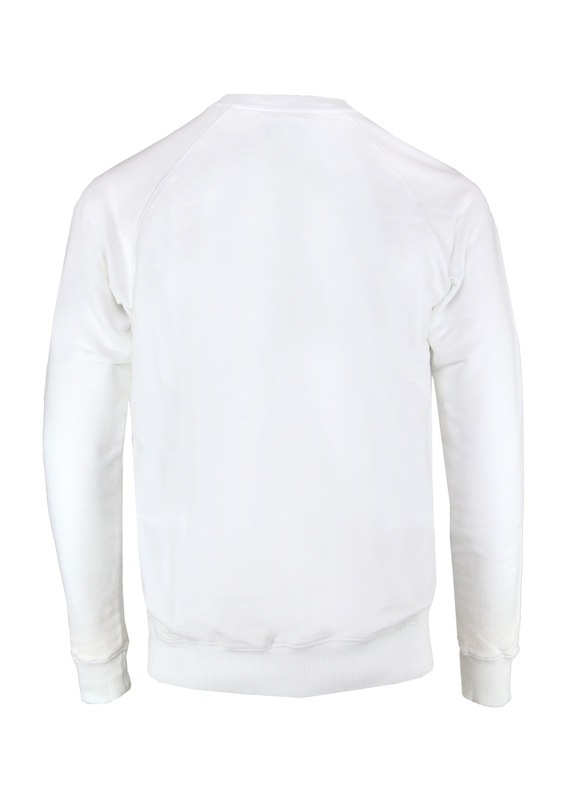 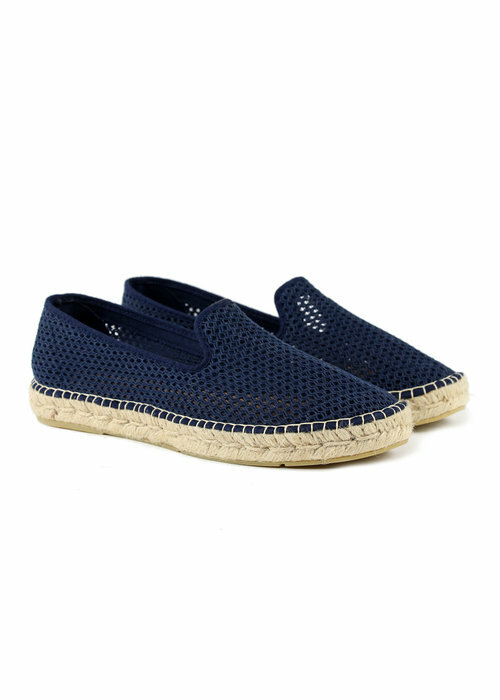 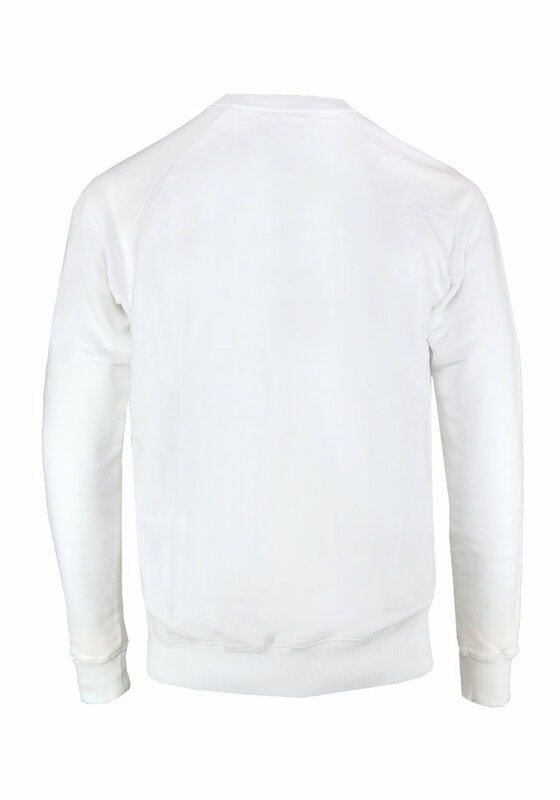 This white sweater looks great on a green chino or nice and fresh on a blue jeans.